London is a phenomenal city to visit, that goes without saying. You will, however, want the proper kind of luxury accommodation to take care of you in between your shopping sprees and legendary landmark visits. The Montcalm Royal London House Hotel is a centre for deluxe ingenuity and class hotel development. It is a “new chapter” in the capital city’s provisions of opulent and sensationally refined living spaces. You can find The Montcalm nestled in the heart of the city’s iconic structures: with St Paul’s and the Thames flanked by the peaking towers of the city to the south. Up north you can find the heart of London’s thriving hip and happening nightlife and cultural centre of Shoreditch providing a plethora of galleries, boutiques, and bars. With its classy mid-century decor and overall design that hails back to the Golden Age of the city, which has been introduced to a twenty-first century finish, this hotel comes equipped with fantastic bedrooms that will ensure you float away even after the most thrilling of nights out on the town. Following your exhilarating night, you can recover by visiting the spa for some royal pampering, work off the many glorious meals you will be enjoying at the gym, before visiting one of two restaurants to indulge once more in some world-class cuisine. 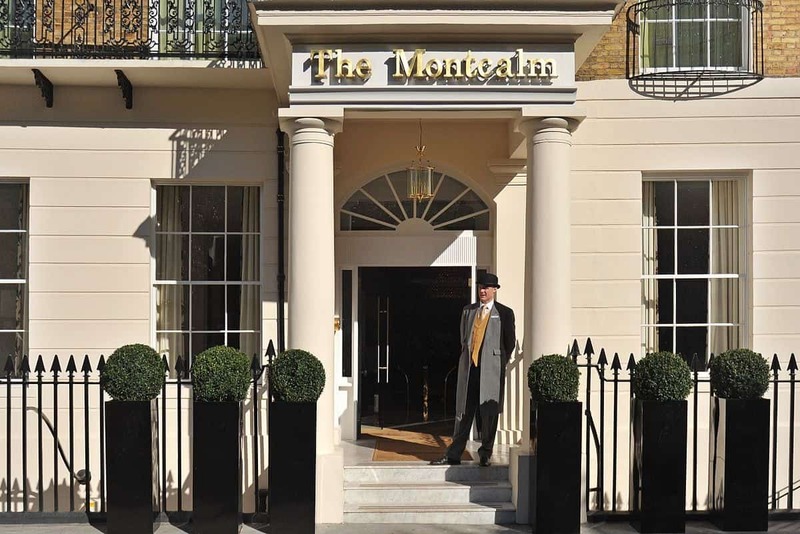 This is all just the beginning, however – The Montcalm and its personable staff have much in store for its guests. You can expect to see all kinds of leading innovations being brought into the various lofty spaces within, befitting the expectations one would have of a modern London hotel. The Montcalm is the kind of hotel that provides welcoming and highly functioning spaces for your important conferences, whether they involve only five people, or three hundred. You will find that Finsbury Square satisfies the needs of any kind of business and its events, from start-ups to seasoned big business. It can be difficult to find the peace, quiet and space needed to conduct rational and progressive business meetings, which is why The Montcalm emphasizes its silent clearing as a leading attraction for unhindered communication. It really is a necessity – that whatever space you and your business decide to rent for a meeting can provide all of the latest assets in modern business hosting. With a maximum of three hundred people being able to conduct qualified business rhetoric at a given time, you really would struggle to find a better space. Walk over gleaming wooden floor past the wondrous copper and bronze designs and shining banquettes for a night spent dining on sensational arrangements and drinking wonderful wines that you are not soon to forget. While The Montcalm and its hard-working staff emphasize quality in everything they do, they also ensure that you have the privacy that you deserve – especially when enjoying a meal with beloved friends, family members, or business associates.